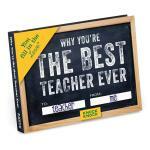 Teachers & Grads Collection by MemoryBeach allows you to find just the perfect assortment of "thank you's" for your favorite teachers from your favorite students & grads. MemoryBeach recognizes that teachers are to be celebrated, no matter what the topic, subject, or lesson… We are more than the sum of our cells. Teachers see us, remind us, guide us, and create us. And at times, we want to find special ways to give back all that attention. Because teachers come from all walks of life, we’ve assembled easy, in expensive ways for you to say, “I”ll always remember you.” Those of you who are teachers, or have been, remember those students who stood out. And in some ways, didn’t they all? Teachers and graduates go together – that bittersweet launch of the student to the open, new world that she or he is going to help create & recreate. We’ve also included items for Grads from any formal or informal school of life. Work hard, graduate, succeed! Teachers & Grads go together like crayons and coloring books, where learning often starts, and hopefully never ends. Teacher_DeskA Mix & Match Stamp is a called a CLIP, a changeable plate that you can swap in ..
Teacher_GreatworkA Mix & Match Stamp is a called a CLIP, a changeable plate that you can swa..
Teacher_NoteA Mix & Match Stamp is a called a CLIP, a changeable plate that you can swap in ..
Teacher_RuleA Mix & Match Stamp is a called a CLIP, a changeable plate that you can swap in ..
Teacher_SuperJobA Mix & Match Stamp is a called a CLIP, a changeable plate that you can swap..
Teacher_WayToGoA Mix & Match Stamp is a called a CLIP, a changeable plate that you can swap ..